Alameda attorney Bryan Schwartz has filed a class-action case against Elon Musk's electric car company, alleging racial discrimination. When Tesla got hit with a recent class action lawsuit alleging racial harassment of African-American workers at its Fremont plant, the company vehemently denied the charges and called the case an obvious attempt to "extort" money. 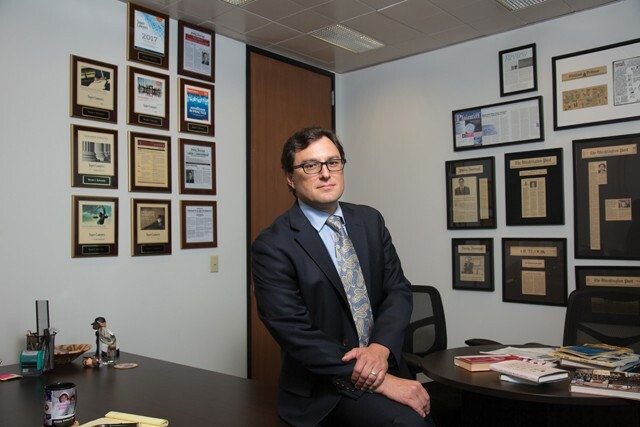 That didn't sit well with the plaintiff's attorney, Bryan Schwartz, an Alameda resident and rising East Bay legal figure who has won several high-profile and big dollar court cases, including recent settlements that cost Bank of America more than $55 million. "It's defamatory. It's simply not true. It's a knowingly false statement. What we do is sue wrongdoers to help create social justice, and we usually win," said Schwartz, referring also to his co-counsel, fellow Oakland-based labor and civil rights attorney Lawrence Organ, who, earlier in 2017, filed other individual race harassment suits against Tesla that preceded the class claim. In the class suit filed in November, the two attorneys are representing Marcus Vaughn, who worked at Tesla's plant from April 23 to Oct. 31, 2017, and allege that he was terminated for "not having a positive attitude" after complaining about co-workers and supervisors using the N-word to address him and others. Vaughn says he complained to the company and Elon Musk personally in writing last July, but nothing was done. Tesla has promised to "fight to the ends of the Earth" rather than pay money just to make Vaughn's lawsuit go away. Schwartz suggested a quick settlement would make sense for Tesla, but he takes the company at its word and is ready to litigate for years - something he has done to significant effect in other cases - because the case is legitimate. "If they're even halfway rational, they will want to settle as quickly as possible because of what it says about their company," he said of Tesla. "It just becomes more expensive and embarrassing the longer it goes on." Following media coverage, more complainants have come forward alleging use of racist language at Tesla's Fremont plant, as well as the presence of racist graffiti in bathrooms that doesn't get cleaned up. "It's literally, all day, day in, day out - N-word, this, N-word, go get me that," Schwartz said. "We have dozens of witnesses who have already come forward all across the plant. They call it, 'The Plantation.' "
The lawsuit suggests that rather than investigate such complaints, Musk sent out a companywide email in May telling people it was "important to be thick-skinned" and accept a sincere apology when someone who inadvertently offends someone from a minority group apologizes for "being a jerk." Tesla officials said that's preposterous. They say they've taken extensive action to investigate any claims actually made and to bolster already robust training throughout the company. "They said that Musk's email has been taken totally out of context, and it plainly states that Tesla employees should never "be a jerk," that "part of not being a huge jerk is considering how someone might feel who is part of an historically less represented group," and that no one should "ever intentionally allow someone intentionally to allow others to feel excluded, uncomfortable, or unfairly treated." "Right now is a time when we need strong civil rights leaders, and that's what I'm trying to be," he said. As a Jew whose forebears faced discrimination, Schwartz said he has been passionate about civil rights since he was a youth active in B'nai B'rith. "It was ingrained in me as a Jewish person that we need to look out for minorities in every sense of that word, and the disenfranchised people who are less powerful, because we've been in that situation," he said. "They couldn't join the country club because there were no Jews or dogs allowed," he said. Schwartz wrote his undergraduate thesis about multicultural change at his alma mater, Cornell University, and after graduation started working in San Jose as a Spanish-speaking investigator at the U.S. Equal Employment Opportunity Commission, where he was exposed to cases of "terrible" employment discrimination, he said. He became frustrated when cases languished in the bureaucracy, however, and began to think about the need for good lawyers to advocate for victims. Before becoming an attorney, Schwartz went to work for President Bill Clinton's campaign in Texas, where he helped open early voting stations in minority neighborhoods. He then lived for a spell in Costa Rica, where he taught English. While at UC Berkeley's Boalt School of Law, Schwartz also managed to travel, studying for a semester in Barcelona. There he learned for the first time about isolated Jewish communities, some of them very ancient, in Africa, Asia, Latin America, the former Soviet Union, and the margins of Europe. That launched him on a 16-year personal mission to photograph and document disparate populations of Jews, some of whose pictures adorn his offices. He has written numerous articles and has had exhibitions of pictures around the country, which have helped raise money to assist impoverished Jews abroad, and last year he published a book on the subject called Scattered Among the Nations. After graduation, Schwartz clerked for a federal appeals court judge in Pennsylvania and then joined an employment law firm in Washington, D.C., where, after two years, he ended up on the front page of the Washington Post for winning several hundred thousand dollars and reinstatement for a municipal water quality manager who was improperly terminated after warning federal authorities about excessive lead in the district's tap water. The following year, Schwartz was again in the news when he got a federal board to order the Smithsonian Institution to reinstate a whistleblower fired in retaliation for reporting that ranking officials of the National Air and Space Museum had misused the institution's world-class aeronautical restoration facility in Maryland for personal projects, including repairs on the director's private airplane. While in the nation's capital, Schwartz met his wife, Alicia Cernitz-Schwartz, a schoolteacher, and in 2006, he came home with her to California and got a job managing a law office in San Francisco. In 2009, Schwartz founded his own Oakland law firm, which today has six attorneys. He and his wife moved to Alameda, where they live with their young son and daughter. The couple are active in the Island's school system, particularly of late in trying to combat a recent increase of anti-Semitic acts by students. Schwartz's most lucrative victory so far was last year's $36 million settlement between a Bank of America subsidiary that had misclassified real estate appraisers and not paid them overtime or afforded them mealtime or rest breaks. The deal was one of a series of related settlements that together totaled more than $55 million. Similarly, public records show that in December, Schwartz obtained a preliminary agreement from San Francisco-based Shift, a venture capital-backed online marketplace for used cars, which agreed, pending court approval, to pay $1.5 million to settle a class lawsuit on behalf of 191 workers who claimed they were not paid overtime or given other benefits like meal- and rest-breaks. The Shift and Bank of America settlements required that those employees be reclassified as eligible for overtime going forward, something Schwartz said he has won in numerous cases. The judge in the Bank of America case specifically praised the high quality of Schwartz's work, as well as the amount of financial risk his firm assumed, in explaining why it was reasonable to award Schwartz and his co-counsel $12 million in fees, which is on the higher side of the typical scale. Schwartz is tenacious, and he has multiple cases that have been going on for years without paying anything, so digging in for a long-term battle with Tesla won't be anything new. One of Schwartz's cases, which accuses the federal government of discriminating against people with disabilities in the Foreign Service, has been going on since 2006. Another against the wealthy owner of a now-defunct restaurant in Southern California started in 2010. Schwartz said the case could have been settled for $300,000 early on but now could cost the defendant his entire $10 million fortune. The defendant already lost a claim that he fired an employee in retaliation for complaining about wage theft, but he has not paid some $1 million for the plaintiff and Schwartz's fees, and Schwartz is seeking appointment of a receiver for the man's assets, which include a yacht. In the same case, Schwartz also won a precedent-setting decision in November from the state's Fourth District Court of Appeal holding that if corporate officials violate California wage laws, owners, officers, and directors can be personally liable. In the past, business owners facing claims typically would just close and reopen under a new business name, he said. Before Tesla, Schwartz had never filed a race-based harassment class-action lawsuit. He hopes to begin deposing officials at the plant soon and promises eventually to grill Elon Musk personally on the stand. Until Schwartz is able to gather court ordered evidence from the company, like how many African Americans even work at the plant, he will not know the potential scope of the case. "It could be the biggest case I ever have," he said. This report was originally published by our sister publications, Alameda and Oakland magazines. At 22, the recent Cal grad is the youngest-ever member of the Berkeley City Council. And the corporate coal mining entity behind it has rebranded itself amid financial problems as developer Phil Tagami files a claim against the city.